Nebraska Landlord Forms are essential to have available throughout every tenancy. You do not want to desperately need a specific form and not have it available at any given moment. 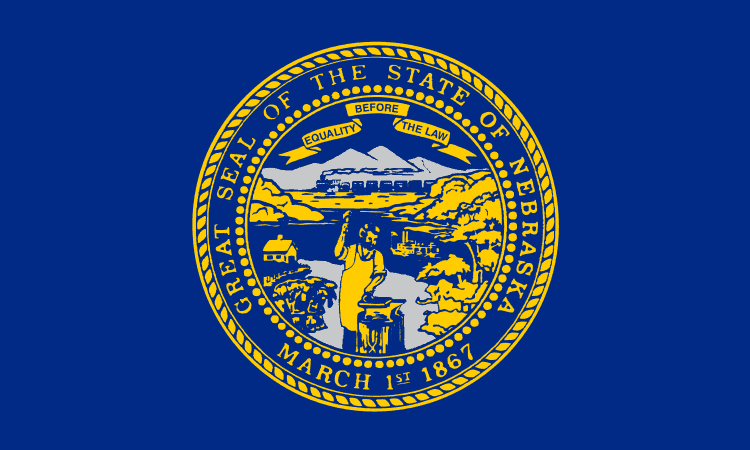 A vague lease agreement drawn up on your laptop or a failure to complete crucial Nebraska landlord forms can easily come back to haunt you, even potentially causing you to lose a case should the tenancy end up in court. The Move In/Move Out Checklist is necessary for you to complete for every tenant, prior to the tenant actually moving in. Both you and the tenant each go through the property and note the condition of each part of the living area as well as the outside of the premises. You and the tenant note in writing on the move in checklist if there are any areas of damage or repairs needed. At the termination of the tenancy, you and your tenant will once again go through the property, noting any damages or areas in need of repair on the move out checklist. Including the Move In/Move Out Checklist in your Nebraska Landlord Forms protects you against tenants who damage the property. If you require tenants to pay a deposit, providing the Rental Deposit Form with your Nebraska Landlord Forms give you and your tenant a written record of any deposit paid by the tenant. Landlords can use the Rental Deposit Form in legal cases such as eviction proceedings and disposition of the security deposit. The Disposition of Security Deposit is provided after the landlord deducts any charges from the deposit for damages that are not due to normal wear and tear, for any past due rent or other outstanding legitimate costs. Include this with your Nebraska Landlord Forms to give an accurate accounting of any deductions from the security deposit, should the tenant claim no monies are owed. When you need to enter one of your occupied rental properties, it is essential that you serve the tenant with the Notice of Entry form. Including the Notice of Entry with your Nebraska Landlord Forms enables you to give your tenants proper notice when you need to gain access to the property. If your tenant violates terms of the rental agreement in a manner other than for non-payment of rent or if the tenant conducts any activity that disturbs other tenants you can serve the tenant with the Notice to Perform or Quit. Perhaps the tenant is not keeping the property clean or has other people living in the home who are not on the lease, which violates the terms of the rental agreement. The Notice to Pay Rent or Quit forces the tenant to comply or to quit the premises. Similarly, if a tenant is delinquent in rent, the Past Due Rent Notice and the Notice to Pay Rent or Quit forces the tenant to pay all past due rent immediately, quit the premises or face eviction proceedings. Ordering every essential Nebraska Landlord Form and keeping an ample supply on hand at all times is crucial for the Nebraska landlord who wants to run an efficient business and provide tenants with necessary forms as well as to keep a record of various transactions made during each tenancy. Not every tenant is a great tenant and unfortunately landlords often need forms necessary to provide tenants with legal notices prior to filing an actual action to force the tenant from the premises. Landlords also need essential Nebraska Landlords even when blessed with outstanding tenants who pay rent on time and take care of the property. Get all your necessary Nebraska Landlord Forms from American Apartment Owners Association, the trusted source for your landlord forms. The American Apartment Owners Association provides landlord forms nationwide. Looking for a state other than Nebraska?